I grew up in the suburbs of Philadelphia, Pennsylvania, the third child and the only son of my Christian parents. My family worshipped at an independent evangelical church where I became familiar with Sunday school and vacation Bible school. I spent my high school years at a reputable private Christian day school. I earned a bachelor’s degree from a Christian college in Massachusetts in 1983. By the age of 46, I had seen seven counselors and received prescriptions from three psychiatrists to combat my depression. I was committed into the hospital for a weekend in April 2004 after mental health professionals had become alarmed by my persistent talk of committing suicide. My career had become a study in underachievement. When my first wife filed for divorce, I understood I had failed in relationships as well. My life was not worth living. In early August of 2007, I received word that a close friend of mine had died of a drug overdose. She had helped me navigate the emotions of the end of my first marriage. The coroner’s statement of the cause of her death revealed the depth of my naiveté. I now understood why my friend had often asked me to rush cash down to her late in the evening. Her sudden death and my new awareness of my lack of sophistication drove me to my knees. God brought into my life an extraordinary Christian counselor who met with me every week for over four years. She was kind, compassionate, and patient. She persevered reading hundreds of pages of a journal about my life, an exercise in reading that must have exhausted her. Hour after hour and week after week of her warm and gentle heart gave me the encouragement to stop hiding my teary eyes under my baseball cap in her office. Though I had grown up in the church, I had never understood God’s love for me. My counselor used the tools of compassion and grace to show me that God loved me. Her tools were far more effective than mere words. There was another woman God used to show me His love. My mother’s faith grew when she turned to God for comfort after my father passed away in 2000. She prayed for me continuously. Unfamiliar with the technology of email, she would send me letters in the mail with Bible verses she had transcribed with her hand. She reminded me faithfully that God is good even when times are bad. The love of these two women, given to me in my darkest hours, gave me hope that God was eager to hear from me. I began to pray every opportunity I had. I prayer journaled, sharing with God my complex thoughts and feelings. It was a process that opened my eyes to how I had been deceiving myself for years. God guided me to a deeper understanding of life as He called me into an intense study of the Bible. I eagerly studied Genesis through Revelation, a process I repeated for several years in a row. It was through this process that I began to understand the core message of Scripture. Genesis chapter three records the core temptation of the human heart. God knows what is good and what is evil because He has defined them. We didn’t like that He was telling us what we could and could not do. We wanted to define right and wrong for ourselves, an act of rebellion. God alone has the right to define morality and ethics. When we decide to do that for ourselves we are thinking of ourselves as god. First, I experienced the love of God in my life. Second, He encouraged me to spend time with Him in prayer and the study of His Word. Third, I understood my own rebellion from God. My life wasn’t a mess because God had let me down and didn’t love me. My life was a mess because I did things my way. Fourth, I understood Jesus Christ died on the cross for my rebellion from God. He took on Himself the wrath of God that I deserved. Fifth, a spirit of gratefulness and thanksgiving washed over me. Thank you, God! Thank you! When we are thankful for the work of Jesus Christ in our lives, our love for Him grows. We become motivated to do what is right because we want to please the Father and the Son and put smiles on their faces. Christianity will not thrive in our lives because we follow a set of rules or traditions. Christianity will thrive in our lives when we are incredibly grateful for the love that God has showed to us through His Son. Do you want evidence that you and I struggle with being our own gods? Do you take every thought to prayer? I don’t either. Do you pray several times every hour, sharing what’s going on with Him and asking Him for direction, provision, and protection? I don’t either. Do you consult with God when a strong emotion overtakes you? I don’t either. Do you ask for a moment to pray silently when a friend unexpectedly asks you to talk? I don’t either. Let’s raise the bar on our prayer lives. We need to pray like He is God and we are not. We need to pray about everything. We need to pray about how we are responding to circumstances. We need to pray about the attitudes in our heart when they surface each hour. We need to pray about our thoughts which conspire with our foolishness and insecurities. 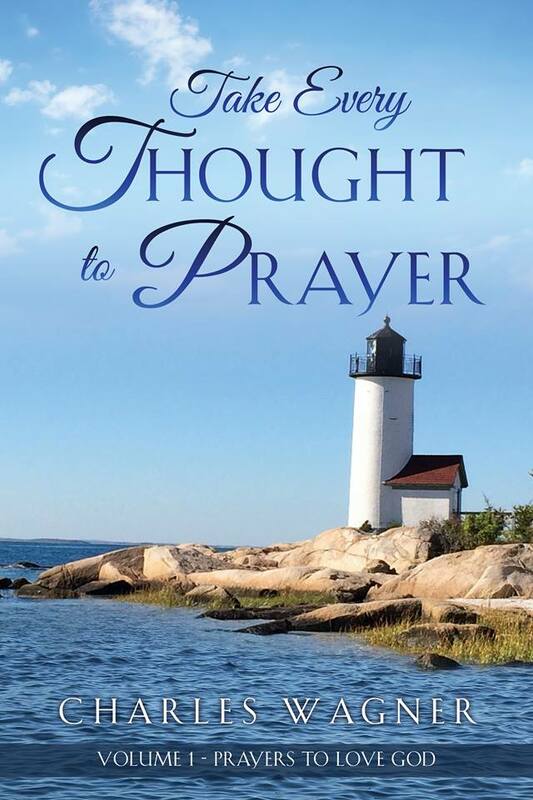 This book is about taking our thoughts and guiding them to prayer. In the first volume of this book, Prayers to Love God, we pray about our relationship with God. We pray about our attitudes, motivations, and character. We pray about what it looks like to live each day for Him. We cry out to God about the problems we are facing in our lives. In the second volume of this book, Prayers to Love Our Neighbor, we pray about our relationships with other people. We pray about our thoughts and feelings as we experience the highs and the lows of interacting with people each day. I share the story of the origin of this book and how the book fits into the larger plan God has called me to. Many of the prayer topics include a variety of issues that any one individual may not deal with. For example, prayer #171, I’m Having a Medical Test, lists a wide variety of medical tests. This is an example of a prayer topic deliberately written to connect with a broad audience. I understand an effective counselor is compassionate and gentle. It takes time to get to know a person, to build their trust, and to understand their pain. A faith-based counselor does not speak about issues of confession, repentance, and surrender until the time is right. However, the prayers in this book cut to the chase and make a quick point. They may seem insensitive. I ask your grace and presume the loving compassion I feel for people who suffer in each topic presented in this book. Giving every prayer a title is like labeling a gourmet chef as a cook. Explore prayers with titles that don’t connect with you. You will find spiritual applications in prayers with titles that appear irrelevant. Can’t find the prayer you are looking for? Dig deeper into your thoughts. While there are no prayers about parachuting, there are prayers about fear, courage, chasing adventure, and achieving goals on our bucket list, all of which would apply to a 10,000 foot leap. Watch the surprised look on my face when a reader shares with me they have read both books from cover to cover. These two books are like an encyclopedia, a book you browse through in a search for a specific topic. Have you ever packed three suitcases for a vacation but discovered you only could take two on the plane? You know how I felt having to delete text from many of the prayers to keep both books under 300 pages. May God bless you. It is my prayer that this book will encourage you to enjoy a deeper and more fulfilling prayer relationship with your Father in heaven.